This is a special edition of the spiral mug by Weston Neil Andersen, which will be produced in porcelain by another American slip-casting company. It is availableexclusively as a reward for our KickStarter project. We are offering a 25% coupon on yournext order to those who sign up for our KIckStarter support list, if our Kickstarter project succeeds in reaching its goal. Donations will be processed when out project ends. If we do not reach are goal,you will not be charged and the coupon will not be valid. Yes! 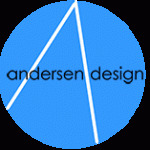 I will Support the Andersen Design KickStarter on launch !